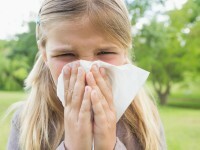 Seasonal Allergies or Mold Problem? You may blame pollen, ragweed, and seasonal allergies for your sneezing, watery eyes, runny nose, and tickle in your throat. But for many allergy sufferers, mold may be playing a bigger role than you realize – especially if you had a water leak from an ice dam this winter. Now that temperatures have warmed up, people are finding that mold is growing inside their walls and ceilings where the leak was. However, in addition to roof leaks, there are a number of sources of household mold and mildew that may be causing allergies. Our homes are our sanctuaries. We decorate them with comfort and visual appeal in mind. We carefully pick the perfect mattress, the right carpet, and the ideal sofa. But what we don’t give thought to is the possibility that many of the furnishings in your home may contain toxic materials and chemicals. (more…).